Traveling with small children during the holidays can feel overwhelming, especially if you have a long distance to go. 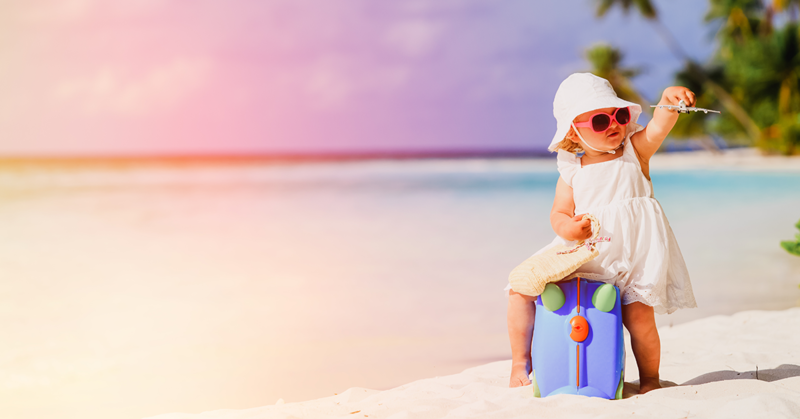 Unexpected traffic, getting stuck longer than anticipated at an unknown airport during a layover, or unhappy and cranky children can wreak havoc on what should be a fun and relaxing vacation. Let us show you how to travel with small children. Dress for the day. Always bring an extra set or two of clothing, depending on the child’s age. Dress in layers, since the car or airplane may be too warm or cold for your child. Time travel with small children carefully. When planning road trips, create a general plan of when you’ll stop for breaks. You might tell your kids, “It’s going to be a long ride, but we’ll stop every two hours, take a break and run around to get our wiggles out.” Bring a soccer ball or Frisbee to keep kids active during stops. Bring a good supply of snacks. It’s possible that your children won’t like the food available at the airport or on the plane. Bring lots of snacks, items that you know your kids will eat, such as Cheerios, string cheese and fruit. Pack empty water bottles to fill once you get through security. Bring lots of entertainment. The hardest part of a long car ride or a flight is keeping kids entertained. Bring a couple of surprise items, such as a new game or toy. Pack books, coloring books, audiobooks or a portable DVD player. Plan for time zone changes. Time zone changes can be hard when you travel with small children, so it’s helpful to plan accordingly. The easiest method is to stay on the same schedule as you keep at home. For example, if bedtime is 7 p.m. at home and where you’re traveling is two hours ahead, put your children to bed at 9 p.m. at your destination. Do you have questions about holiday travel with small children? If so, we can help! Simply call Greenwich pediatricians Next Generation Pediatrics at 203-661-6430.